Electron microscope image of the virus responsible for measles (paramyxoviridae). 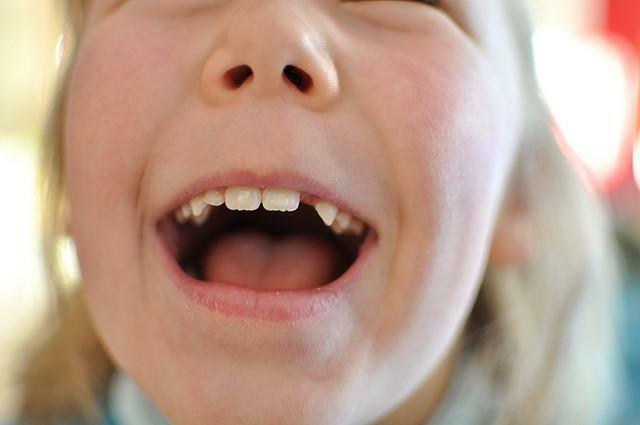 And a minority of parents in Austin, and across the state, have increasingly exercised that choice, opting their children out of vaccines out of fear they may contribute to the development of autism in young children — a notion that's been thoroughly debunked by research and was flatly denied recently by leading advocacy group Autism Speaks, which encouraged parents to vaccinate. 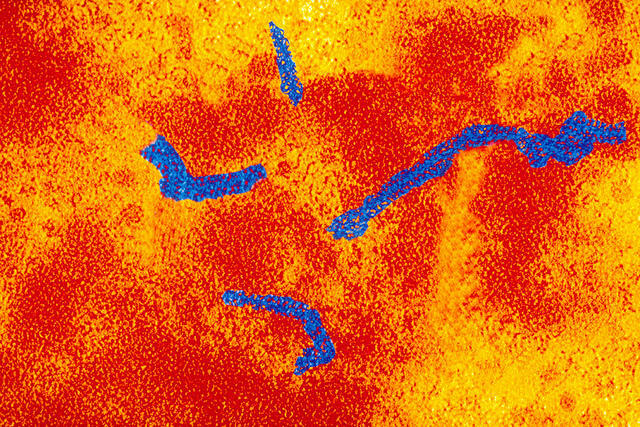 Rates of measles infection are on the rise across the U.S., which is surprising considering that the measles vaccine is so effective that the CDC declared the disease “eradicated” in 2000. 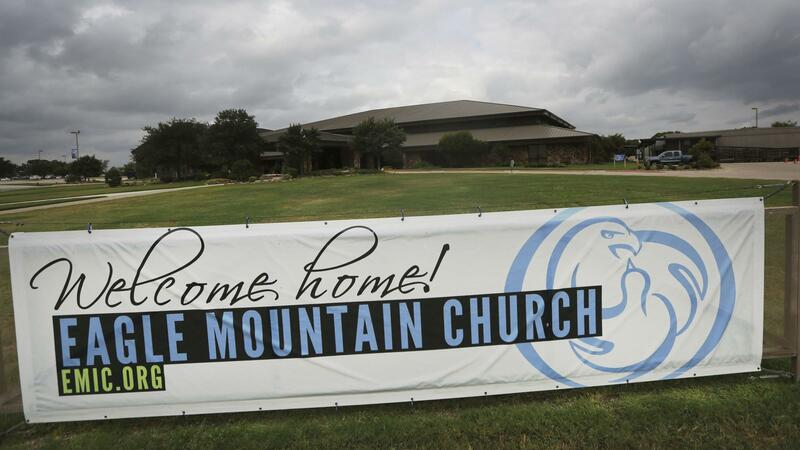 A North Texas megachurch saw an outbreak of measles in 2013 among unvaccinated congregants. But in recent years, localized outbreaks have become more common, like the one at Disneyland in late December that infected at least 67 people (the CDC estimates now that all 102 reported cases in January were linked to that outbreak). The CDC also says that most of the people infected from that outbreak were unvaccinated. An outbreak at a North Texas megachurch that infected 21 people in 2013 was linked directly to that church's belief in anti-vaccination. An unvaccinated person exposed to the measles has a chance 90 percent or higher of catching it. States require that children get immunized with the MMR vaccine, which prevents measles, mumps and rubella, before attending school. But there are exceptions: If a child has a medical reason to not get the vaccine – in one instance, a student undergoing cancer treatment could not be vaccinated – then he or she can get an exemption. And in all but two states – West Virginia and Mississippi – parents are allowed to seek an exemption for their child called a conscientious exemption, an exemption from vaccination based on personal belief. Conscientious exemptions, Mann says, have been steadily increasing year by year in Texas. In Travis County in 2007, there were 970 kindergartners exempt for personal beliefs; in 2013 there were 2,806, which represents 1.7 percent of the kindergarten population. To seek an exemption, legal guardians must submit an application through Mann's office and go through an approval process. The majority of these requests are approved, she says; the only reason one might not be is if the paperwork were not properly completed or notarized. 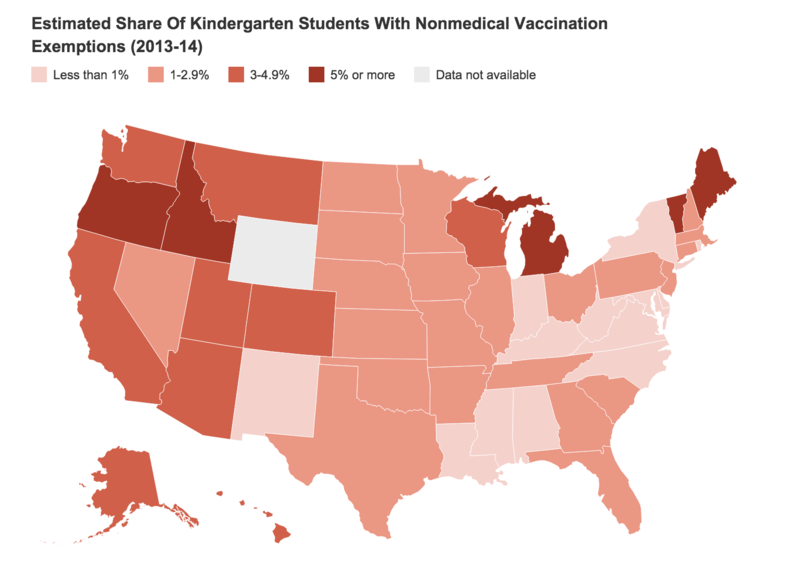 Rates of kindergarten vaccination exemptions across the US. Years ago scientific misinformation led some people to associate childhood vaccinations with the development of autism. Though this connection is now rejected by the scientific community, anti-vaccination beliefs, some tied to religious beliefs, persist. Market research firm YouGov has data which indicates that 21 percent of people under 30 believe that vaccines can cause autism. In the 2013-14 school year Texas kindergartners had a rate of vaccine exemption of just 1.4 percent, meaning that the vast majority of school-aged children in the state had had vaccinations, according to CDC data compiled by NPR. In actual numbers, though, that equals more than 38,000 unvaccinated Texas kindergartners. And as with most counties, and the state, the numbers are increasing steadily year by year. Some Texas counties now see rates of exemption as high as three percent or more, the Houston Chronicle reported. "There could be various reasons they don't want to vaccinate their kids, but it could be fear," says Mann. "They maybe have the unfounded belief that vaccines cause autism, which we know has proven not to be true." Update: The Texas Tribune has a tool that allows Texas parents to search for vaccination exemptions for individual school districts here.